Xenoestrogens are manmade chemical compounds that resemble the natural estrogen secreted in the human body. “Xeno” means foreign and xenoestrogens represent foreign estrogens. These chemical compounds mimic the effect of the natural estrogen present in the human body. We are bombarding these harsh chemicals in our body every day and they cause serious health problems in both men and women. They are present in foods, cosmetics, medicines, plastics, household products, herbicides, insecticides, birth control pills, sunscreens and many other products that we come in contact with. Xenoestrogens are a group of heterogeneous chemicals that are prepared synthetically and found in different products that we use every day. These differ from phytoestrogens because xenoestrogens are manmade and phytoestrogens are obtained from plants. These hormones like compounds are known for over many years. It has been discovered that these chemicals are now entering into our body though various sources and affecting our health by acting as natural estrogen. Research shows that xenoestrogens are harmful for our body and can cause severe illnesses. Our endocrine system secretes various hormones for normal functioning of the body organs. Hormones refer to the chemical messengers of our body that regulate different functions. Xenoestrogens are the chemical compounds that disrupt the normal functioning of hormones in our body. It is found that these chemical compounds can cause reproductive changes, developmental hazards and carcinogenic effect on our body. These compounds are a primary cause of reproductive health problems in both women and men because they attach to and over-stimulate estrogen receptor sites. This causes changes in estrogen-sensitive tissues like the breasts, uterus and prostate. Estrogen is a group of different hormones that stimulate the functioning of female reproductive system. They travel through blood stream and reach reproductive organs to stimulate their functioning. Main organs that are affected by the secretion of estrogen include ovaries, uterus, breast, liver, heart and brain. Xenoestrogens can cause a rapid increase in the level of estrogen in our body to create imbalance of hormones. Women above 35 years of age are prone to suffer from PMS, menopausal symptoms, weight gain, PCOS, and other female related health issues due to estrogen overload. Research studies indicate that xenoestrogens act as free radicals and can cause proliferation of cells thus producing breast or uterine cancers. Xenoestrogens consist of organochlorines which are concentrated in cancer cells. Surrounding healthy cells are free from xenoestrogens. These chemical compounds are toxic to our body cells and behave similar to the estrogen normally secreted in our body. Xenoestrogens break up quickly and prevent natural estrogen from binding to the cells. Hence, normal estrogen is prohibited from doing its normal function. According to Feminist Women's Health Center, xenoestrogens move inside the receptor cells and disturb the division and growth of the cells, thus causing abnormal growth of the breast cells resulting in breast cancer. Natural estrogen acts on ovaries, uterus and breast tissue for stimulating these organs to function normally. According to NaturalHealthforFertility.com, when the amount of xenoestrogens increases in the body, it stimulates the growth of uterine tissues, breast tissues and ovarian cells. It may produce various cell proliferating diseases such as ovarian cyst, endometriosis, and fibrocystic breast disease and ultimately results in infertility. Xenoestrogens are also responsible for producing miscarriages as it reaches the foetus through placenta. A study was published by "Proceedings of the National Academy Of Sciences of the United States Of America" in the year 2000 stated that xenoestrogens are also responsible for producing disturbance in the secretion of insulin hormones from the islets of langerhans of the pancreas. This disruption of islets of langerhans can cause lower production of insulin thus resulting in high blood sugar or diabetes. According to NaturalHealthforFertility.com, xenoestrogens break the placental barrier and reach developing foetus thus causing harm to the baby. 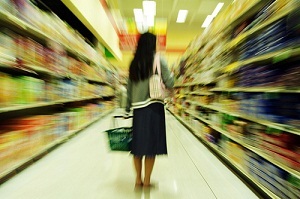 It may cause serious birth defects as xenoestrogens may reach baby through the mother’s milk. A 2005 study by Belcher and coworkers found that even very low levels of a xenoestrogen can affect fetal neural signaling more than higher levels (PMID 16123166). In men excess xenoestrogens increases the rise of prostate cancer through the same process that occurs in a woman’s breast. It increases the potential for conversion of estrogen to 16-alpha hydroxyl estrone—a carcinogen. Xenoestrogens contribute to the death of testicular tissue in men and boys, depression caused by testosterone suppression, premature aging, infertility and obesity. The basic and foremost step to reduce the amount of xenoestrogens is to avoid as much as possible. You may include phytoestrogen in your diet, which are naturally found in plants and produce positive effects on the cells of the human body. Detoxify your body regularly to eliminate excess of toxic substances. Drink more amounts of water as it is a natural liquid that helps in flushing out harsh chemicals from our body. Avoid heating of food in plastics as they may introduce xenoestrogens in your food during the heating process. In place of plastic containers try using glass or ceramics. Try to use natural personal care products, including cosmetics, household products, and fertilizers, oils that are without any added chemicals and only consist of herbs or natural ingredients. Avoid processed foods, decrease amount of fats, increase intake of proteins to boost up your immune system. Organic foods are recommended, which are free from hormonal ingredients. 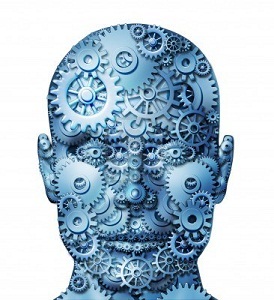 Intelligence has many definitions but it is generally considered as the cognitive ability involved in adaptability to a new environment, capacity of learning, knowledge and reasoning, ability to evaluate, judge and perceive analogies, capacity for original and productive thought and the ability to comprehend relationships…etc. Simply put, it is an intellectual ability significantly higher than average which helps one to perform better on a multitude of things. Having the upper hand in intelligence may give you many advantages, but is IQ correlated with level of risk for developing depression? - IN comes with a tendency to over think which can cause mental imbalances and difficulty in keeping a mental calm. - Because being IN is being excessively aware of things, more IN can sense more things that don't seem quite right. - IN has difficulty finding people who have similar thought processes. They find it difficult to find people of their level with whom they can freely talk to. They are disconnected from others on a mental level and this makes them a bit unstable. - Finding happiness is small things may be hard in IN. While other people enjoy by entertaining themselves through popular media, IN usually do not find anything interesting in it. - IN has a tendency of setting their goals too high in life. While one may achieve the mental capacities required to achieve that goal, other unexpected environmental factors can keep them from it. - IN has a tendency to be different and unique in their philosophy of life, making them slightly more prone to psychological disorders. Some develop what is known as “existential depression”, which comes about from pondering some of life’s big questions concerning death, one’s purpose in life, why we exist, etc. - IN may not allow itself to disagree with negative thoughts as it may cause cognitive dissonance. Research has shown some relation between intelligence and depression. While there are different theories given, intelligence is definitely not the single cause for depression as there are many other factors that are associated with depression. Darwin, who gave the cell theory considered depression as a clarifying force. He said depression helps mind to focus on the most important problems. Randolph Nesse, a scientist at the University of Michigan, say that complex psychiatric disorders like depression do not have much simple evolutionary explanations. Andrews and Thomson says that depression is a fever which helps our body to fight against any infection, but Nesse says a more accurate metaphor is chronic pain, which can arise due to innumerable causes. “Sometimes, the pain is going to have an organic source,” he says. “Maybe you’ve slipped a disc or pinched a nerve, in which case you’ve got to solve that underlying problem. But much of the time there is no origin for the pain. The pain itself is the dysfunction.” Andrews and Thomson respond to such criticisms by acknowledging that depression is a vast continuum, a catch-all term for a spectrum of symptoms. Conclusion: You may read in the newspaper, magazines, books about disasters, different diseases, horrible wars and many other such things taking place every day. These catastrophes cause depression in everybody’s mind. However, many people do not make themselves slaves to the worldly calamities and they fight with these activities rather boldly and feel better. When a person knows how to deal with such things, he is called to be emotionally intelligent, which is also a part of the overall intelligence of a person. People who are highly emotionally intelligent are less depressive as compare to people who are less emotionally intelligent. Low emotional intelligence leads to depressive and sad state of mind whereas highly emotional intelligent state of mind gives rise to contentment. In the end, I would like to mention that the goal here is “peace”, like the peace of mind, with happiness only being when appropriate. And it comes to those who embrace the simplicity of life. P.S. : Overthinking Does Not Relate To Intelligence. Multitasking may be defined as engaging oneself in different tasks at a particular point of time. People are getting involved in multitasking because of their work demands and busy life which seems to be a norm now days. Due to increasing demands of work, life, environment or what ever you may want to call it, people have less time in their pocket to finish all their responsibilities on time due to which they have to adopt the method of multitasking which can lead to mental and physical health implications. When we are juggling several balls at the same time it is but natural to drop a few here and there but the problem might be more sever than just dropping balls. Scientists are discovering that people involving in multitasking are suffering from many brain problems such as stress and anger in adults and learning difficulties and autistic behavior in children. 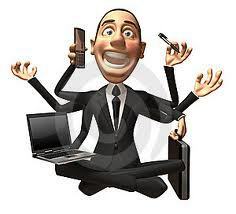 Definitely, multitasking makes us less efficient and we can work to our full efficiency. Our brain cannot work properly when switched for multitasks. When we put our brain to do different tasks at the same time, we demand more from our brain and which is not possible for our brain to do. A research has been done by Earl Miller, a professor and neuroscientist at the world-renowned Massachusetts Institute of Technology. He scanned the head of volunteers while they performed different tasks and found that when we are watching something, then we can focus on only one or two things that mean that we are able to perform one of two items properly. When we try to concentrate on two or more than two words we put overload on our brain and it leads to slowing down of our brain. Glenn Wilson, a psychiatrist at the University of London, reported a few years ago that even if just think about multitasking, it can cause the log jam of our brain. An American study reported in the Journal of Experimental Psychology found that students took far longer to solve complicated math problems when they had to switch to several other tasks - in fact; they were up to 40 per cent slower. This study also showed that multitasking has a ‘negative effect on the physical health and stimulate the release of stress hormones’. Studies by Gloria Mark, an ‘interruption scientist’ at the University of California, show that when people frequently switch from one task to another, work faster, but their productivity decreases. After 20 minutes of interrupted performance, people report significantly higher stress levels, frustration, workload, effort and pressure. Dr Alan Keen, a behavioral scientist at Australia’s Central Queensland University, believes that multi-tasking is a good reason to see fits of rage among the people. This happens due to increased levels of stress hormones. The stress hormones cortisol is responsible for causing aggressive and impulsive behavior and increases our risk of heart diseases. According to a report by American scientists in the journal Cyber psychology and behavior, it is found that if young people spend more time for multitasking, they find it hard to concentrate on a single intellectual task such as reading a book. Professor Russell Poldrack, a psychologist at the University of California explains that children who try to do their homework while watching TV do not do good in exams because this sends information to the wrong part of the brain. Gary Small, a neuroscientist and author of the book iBrain, warns that children who spend their initial year’s multi-tasking do not focus on development and have slow forming interpersonal skills. He says that there is weakening of the brain nerve control and we lose social interactions. We become awkward and give non-verbal message to our friends and in the society. He says that it can lead to the development of autistic behavior in children. Multitasking affects our memory and attention. When we involve our brain in multitasking we often forget one thing over the other. For example, you went to the kitchen to bring a bottle of water and suddenly you hear the phone ring and get back to answer the phone. In the meantime you forget why you had gone to the kitchen or what were you doing before attending the phone. People who are more involved in multitasking are affected more as compare to their counterparts who do less multitasking. Multitasking interfere with our memory more as we get older although it may affect at any age. When you are working on different things at the same time you lack focus and cannot complete single task. Your concentration break up when you have too many distractions. You cannot complete one work efficiently. Your mind does not get rest to focus on important work and you waste your time. When you try to perform many activities at one time it leads to secretion of stress hormones. The pressure on your heart also increases which can raise your blood pressure and many harmful heart problems. You may become anxious and it may cause inefficiency in your work. Your productivity becomes low and it can impact your position at work. When you put your brain to overload by involving it in multitasking you feel fatigued easily. You become tired and cannot do further work. You may have to leave everything in between and you are unable to finish a single task before time. Thus, it may cause fatigue and exhaustion of both brain and physical body. Do not do the multitasking in the afternoon because our brain has to struggle a lot for multitasking in the afternoon. We feel fatigue after eating lunch, and if at that time we put our brain to strain of multitasking, it causes an overload. Meditation is a good option for people who multitask. It is found that mediation leads to increased development of the brain areas associated with memory and attention. U.S research shows that meditation makes our brain more efficient. Creatine is a compound found within the muscles and normally synthesized in the kidney and liver. Certain foods are also found to be rich sources such as meat and fish. It was discovered in the 1800s and thought to be present in the meat. In 1970s, it was reported by the Soviet Scientists that oral supplements of creatine may be used to enhance the athletic performance during short intense activities. In the 1990s, creatine became popular to enhance the athletic performance naturally. Intake of oral supplements varies and depends on many factors such as the amount of physical activity, type of muscle fibre, carbohydrate intake and age. Amateur athletes such as Mark McGuire, Sammy Sosa, and John Elway acknowledge creatine as a popular chemical to enhance the athletic performance. 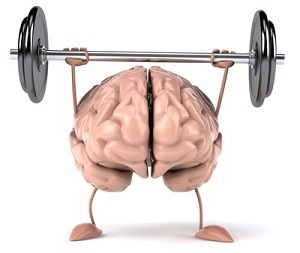 Adolescent adults are crazy to take creatine supplements to enhance their performance. Reports suggest that about 25% of professional baseball players and up to 50% of professional football players take creatine supplements. A survey was conducted for athletes of high school, and it was discovered creatine is commonly used by football and hockey players, wrestlers, gymnasts and lacrosse players. Creatine monohydrate: It is the most widely researched creatine and first type suggested for the players. Users reported that they did not find much improvement. It is recommended that creatine monohydrate should be combined with simple sugars to enhance its effectiveness. Creatine Ethyl Ester: This form is believed to be a changed version that is required in fewer amounts and there is no need to combine it with simple sugars to be effective. However, research was done that showed creatine monohydrate to be more effective as compared to creatine ethyl ester. Tricreatine Orotate: It is a combination of creatine and Orotic acid. It is found that creatine works well when combined with orotic acid. Kre- Alkalyn: It is a buffered product and was introduced to overcome the problem of creatine monohydrate that when it comes in contact of the liquid, it breaks into a waste product called creatinine. In this product, creatine is buffered with an alkaline salt to avoid the conversion of creatine to creatinine. It helped in better absorption by the muscles. Liquid creatine: This type is not much popular because as mentioned earlier that liquid creatine gets converted into a waste product called creatinine. International Olympic Committee professional sports and National Collegiate Athletic Association (NCAA) has allowed the use of creatine. Now- a-days, NCAA does not allow colleges and universities to provide creatine to the students using funds from school. Students are allowed to buy creatine on their own, and the NCAA will not ban creatine unless any harmful effects are reported. Research suggests that creatine help in improving strength during short duration and high intensity activities. Creatine helps by increasing ATP molecules that are the source of energy to the body cells. It also helps in reducing muscle fatigue by reducing the amount of productions of a waste product called lactic acid that accumulates in muscles to cause cramps. Investigations at the University of Nottingham showed that if creatine supplements are taken for five days, it helps to enhance muscle power and performance during intense strength training. As creatine helps to enhance muscular strength, it has been used in the treatment of muscular disorders such as myasthenia gravis, muscular dystrophy, Huntington's disease, McArdle's disease (also called glycogen storage disease type V), congestive heart failure, amyotrophic lateral sclerosis, Parkinson's disease and after injury or surgery. Many studies are published by the Cochrane Collaboration on use of creatine for muscular conditions. During studies, it was discovered that creatine is effective in improving the muscular strength in people having muscular dystrophies. A preliminary clinical study suggests that creatine supplements help to lower down the levels of triglycerides. Few clinical studies done on people with heart failure suggested that people with the heart failure feel better when take took creatine supplements along with regular heart medications. Parkinson’s disease leads to decreased muscular strength. A clinical study suggested that when people with Parkinson’s disease took creatine, it helped in improving the muscle strength and exercise ability. About 95% of creatine is synthesized in our body from other amino acids present in the liver and kidney. Food sources rich in creatine include lean meat and fish such as salmon, tuna, and herring. People with kidney disease should avoid taking creatine supplements as it is found that kidney disease may get worse when taken with creatine supplements. Carnosine is a natural antioxidant and anti-glycation substance found in normal human tissues, predominantly in the brain and heart. 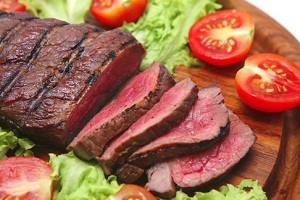 Carnosine is an amino acid compound found primarily in red meat. Two important amino acids L-histidine and beta-alanine combine together to form carnosine. Carnosine acts as a protein building agent in muscles, brain, heart and other organs of the body. Carnosine is known for its ability to act as an anti-oxidant that helps to remove free radicals and gives new life to the cells. It protects body cells against oxidative stress damage and rejuvenates body cells. The most important thing about carnosine is its remarkable ability to throttle down bodily processes that are in a state of excess, and to ramp up those that are under expressed. For example, carnosine thins the blood of people whose blood tends to clot too much and increases the clotting tendency in those with a low clotting index. Another example is that carnosine suppresses excess immune responses in those who have "hyper" immune systems, whereas it stimulates the immune response in those with weakened immune systems. This is a critical benefit for people with allergies and people with autoimmune disorders. One of the main processes associated with the ageing process is known as glycation. Carnosine is an important substance in the human body that inhibits the process of glycation and helps in preventing the signs of ageing. Glycation and oxidation are two processes that cause damage to body cells by producing more free radicals. Oxidation results due to excessive deposition of oxygen in body cells and glycation is the result of body’s use of sugar. The glycation process attacks proteins and converts them into Advanced Glycation End Products (AGEs). These products accumulate in the body cells and generate more free radicals resulting in the damage of skin cells, eyes and nervous system. A study done on rats showed slow down of the glycation process with the use of carnosine. In 2010, Dr. Sergey Stvolinsky, a highly-regarded anti-aging scientist at the Russian Academy, published some surprising results in the journal Rejuvenation Research about carnosine’s effect on fruit flies. His research team found that adding a tiny amount of carnosine to the flies’ food supply produced an immediate 20% increase in the average life span of male flies. Alone, carnosine had little effect on female flies’ life span, but when combined with a water-soluble form of vitamin E, female flies experienced a 36% increase in longevity as well. In culture studies, the cells transferred to the carnosine medium attained a life span of 413 days, compared to just 126 to 139 days for the control cells. When the researchers took old cells that had already gone through 55 divisions and transferred them to the carnosine medium, they survived up to 70 divisions, compared to only 57 to 61 divisions for the cells that were not transferred. Oxidation and glycation produce inflammation, and also contribute to cross-linking of proteins. Carnosine can prevent that cross-linking, preserving normal neuronal function. Carnosine also helps to fight against cellular damage by eliminating toxic metals from the body through a process known as chelation. Excessive presence of metals such as copper, zinc, lead, mercury and nickel are believed to be associated with illnesses such as dementia, ADHS, Parkinson’s disease, autism, schizophrenia and Alzheimer’s disease. Intake of carnosine may help to prevent these illnesses as it does not allow accumulation of toxic metals in your blood. Carnosine lowers elevated blood sugar levels, improves insulin production and sensitivity, and promotes the loss of weight and body fat. Studies have shown that people who are diabetic or even pre-diabetic have lower-than-normal carnosine levels in both their muscle and brain cells -- levels about 63% below normal, which is similar to levels found in people in their 70's. Diabetic neuropathy is a serious kidney disease that results in people suffering from diabetes. A research was published in the August 2005 issue of the "Journal of Diabetes," where researchers found that intake of carnosine inhibits the growth of proteins such as fibronectin that play an important part in causing diabetic neuropathy. N-acetylcarnosine is another form of carnosine, which is used for the treatment of eye problems. It is not recommended to take this form orally as it is not absorbed through the stomach. It has shown remarkable effects in the treatment of cataract (clouding of lens) that may be caused by the free radical damage to the eye lens. Carnosine is studied in vitro and in vivo to find its effect on red blood cells. It is found that carnosine prevents acidic haemolysis of red blood cells and increases the number of stable red blood cells. Carnosine helps prevent cardiovascular damage and brain injury through a host of mechanisms closely related to the interplay of glycation, oxidation, and inflammation. In vitro analysis of human dermal fibroblasts (the cells that promote skin healing) and microvascular-endothelial cells (the cells responsible for regenerating new blood vessels after injury) showed that carnosine increases cell viability. Carnosine is believed to be an additional help in controlling seizure disorders. It is believed that carnosine bind with GABA in the brain to form homocarnosine and helps to reduce the entry of zinc and copper into the neurons thus decreasing the seizure activities. Carnosine is also known to enhance the functioning of frontal lobe of the brain. Oral intake of carnosine in autistic children showed remarkable improvements in autistic behavior and enhanced the language comprehension. A study was published in the November 2002 issue of the “Journal of Child Neurology” which stated that carnosine had shown great improvements in the Gilliam Autism Rating scale, which is a scale that is used to know the severity of autism. Carnosine is also known to be found in the muscle cells. According to Science daily, it helps to enhance the strength and power of the muscular cells thus helping body to perform optimally. It helps by increasing the intramuscular hydrogen ion buffering capacity and reducing the production of acid during intense exercise. Vitamin C is one of the most important nutrients required by the human body. Vitamin C is a strong antioxidant and a water soluble vitamin which is also known by the name of ascorbic acid. Humans require a good amount of vitamin C in order to build healthy tissue collagen and promote strong immune function. Vitamin C is important for your skin, bones, and connective tissue. It promotes healing and helps the body absorb iron. It helps to prevent body against infections and is required for healthy functioning of all different body parts. One of the most important things to know about Vitamin C is that it is made naturally in almost all living animals except primates, humans, bats, guinea pigs and some species of fish and birds. All humans are born with a genetic inability to manufacture Vitamin C from glucose. This genetic defect occurred approximately 63 million years ago, when our simple nosed primate predecessors lost the gene 'Gulnolactone oxidase pseudogene – GULOP'. In most animals, glucose is extracted from stored sugar (glycogen) and then transformed into vitamin C in the liver. It is dependent on a biochemical pathway of 4 key enzymes which convert glucose to vitamin C but humans lack the GULOP enzyme critical for the last step of vitamin C synthesis, making it an essential nutrient to be consumed in high quantity regularly. Because both glucose and vitamin C have a very similar chemical makeup and are depend upon the pancreatic hormone insulin, elevated glucose levels restrict vitamin C from permiating into cells. White blood cells may contain 20 times the amount of vitamin C as any other cells to handle the oxidative stress that occurs when they encounter a pathogenic substance. Elevated blood sugar also impairs the phagocytic index and hexose monophosphate (HMP) shunt. The phagocytic index measures how effective a particular white blood cell is at destroying viruses, bacteria & cancer cells while HMP shunt produces ribose and deoxyribose, which provide important raw materials for the formation of new white blood cell RNA/DNA. This makes it essential to keep your glucose levels under control and to boost your vitamin C reserves for overall health longevity. 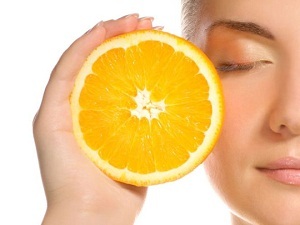 Vitamin C is an important nutrient that helps in the synthesis of collagen. Collagen is an important substance present in the different body parts. It is present in bones, teeth, tendons, ligaments, kidneys, liver, spleen, etc. Collagen is present everywhere in our body and vitamin C helps in the formation of collagen. Vitamin C is an important nutrient for people who suffer from stress. It helps to boost up the immune system and prevents stress. Vitamin C helps in the treatment of stress as it gets reduced in the smokers, obese people and alcoholics which make them sad and depressed. Vitamin C helps to enhance their body immunity to fight against the stress. Vitamin C is taken since ages for the prevention of common cold. It helps to prevent serious outcomes of cold. It helps to relive the symptoms of flu and prevents complications. Vitamin C is also believed to an important nutrient for the treatment of respiratory diseases. Vitamin C has an effect on the interior as well exterior part of the cells. A study was done on 4025 women aged from 4-74 and it was published in the American journal of clinical nutrition. According to this study women who take higher amount of vitamin C supplements had less wrinkles and other signs of ageing were also delayed. Skin look healthier and younger in women who take vitamin C supplements. Recent studies have shown that deficiency of vitamin C is closely related with the heart diseases. It has been found that vitamin C supplements help to prevent heart diseases such as coronary heart disease. A study was done on more than 2000 Japanese people and it was found that people who have high level of vitamin C in their blood are at lower risk of stroke as compare to people who have lower level of vitamin C in their blood. Many studies have been done to prove this function of vitamin C. It is found that people who consumed more fruits and vegetables are at lower risk of developing any type of cancer as compare to people who ate very less fruits and vegetables. Vitamin C is also found to be effective for the prevention of cataract. People who take high amount of vitamin C in their diet do not develop cataract. It is also known to prevent macular degeneration and other diseases related to loss of vision. Vitamin C has been known since ages to prevent a disease called scurvy. Scurvy is an inflammatory disease of gums and was first discovered in the British sailors who were deprived of the natural surroundings for longer time period which lead to a deficiency of vitamin C in their body and called as scurvy. The most important sources of vitamin C are citrus fruits such as oranges, pineapple, raspberries, strawberries, lemon, mango, guava, papaya, amla, etc. Other sources include Brussels sprouts, cauliflower, hot chili peppers, bell peppers, dark leafy greens, tomatoes etc. The recommended dosage for vitamin C is 60 to 90 mg per day. Men require more vitamin C as compare to women and men who smoke cigarette are required to take 35 mg more vitamin C as compare to normal adult. Metabolic syndrome refers to a cluster of different health problems occurring together in an individual. Metabolic syndrome poses a risk of congestive heart disease, and it may include high blood cholesterol, high blood sugar, high blood pressure and obesity. The risk factors that are associated with metabolic syndrome were first given by Dr. Gerald Reaven in the year 1988. He suggested that insulin resistance was the key cause for type 2 diabetes, hypertension and cardiovascular artery disease. He named this cluster of health problems as “Syndrome X”. Since then, other names used for Syndrome X are metabolic syndrome, insulin resistance syndrome and dysmetabolic syndrome. Now, Syndrome X is known as metabolic syndrome all over the world. It is found that people who have metabolic syndrome suffer from insulin resistance. Insulin is secreted by the pancreas that helps to move glucose into the cells for use. People with metabolic syndrome are generally obese and do not respond to insulin. When the body fails to produce enough insulin to use up the glucose, then blood glucose level increases and result in diabetes. According to the reports of the American Heart Association millions of Americans suffer from metabolic syndrome. Incidence of metabolic syndrome is increasing day by day among aging Americans. 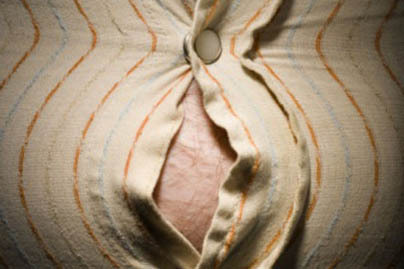 · Abdominal obesity, where the waist circumference for men is 40 inches and for women is 35 inches or more. · Hypertension, where blood pressure of 130/85 mm of Hg or higher is associated with metabolic syndrome. Normal blood pressure is 120/80 mm of Hg. · High triglycerides level in the blood. If the triglyceride level is more than 150mg/dl, it is considered to be a symptom of metabolic syndrome when associated with other factors mentioned above. · Another factor that adds to the diagnosis of metabolic syndrome includes HDL cholesterol or good cholesterol level of below 40 mg/dl for men and less than 50mg/dl for women. There are so many factors interconnected to each other that are responsible for metabolic syndrome. Therefore, it is difficult to find one single or definite cause for metabolic syndrome. Sedentary life style, imbalanced diet, social factors, personal history, genetic disposition for obesity or insulin resistance, etc. are some of the risk factors associated with metabolic syndrome. Many physicians relate insulin resistance as the most important cause of the metabolic syndrome. Researchers have not found any direct connection between the two yet. Other factors that may be held responsible for metabolic syndrome include hormonal imbalance, stress, old age, genetic variations, high levels of blood cholesterol, abnormal distribution of body fat and ability to break down lipids in the body. A risk factor is one that increases the chance of a person of developing any particular disease. It may include sedentary habits, drinking alcohol, smoking or many more such things. If a person knows risk factors for any disease, these can help to take an appropriate decision that includes making dietary or lifestyle changes so that the disease can be controlled easily and at an early stage. Age: Age is an important risk factor because the incidence of metabolic syndrome increases with increasing age. Ethnicity: Metabolic syndrome is more common in African Americans and Mexican Americans. Women above the age of 60 are more prone as compare to men. Family history of diabetes: People who have a family history of diabetes are more prone for metabolic syndrome. Gestational diabetes (diabetes during pregnancy) also increases the risk of metabolic syndrome for women. Smoking: Smoking is another risk factor that contributes to the development of metabolic syndrome. People who are chronic or chain smokers may develop metabolic syndrome quickly as compare to non-smokers of similar age. Stress: Stress is another important risk factor for metabolic syndrome. Sedentary lifestyle: People who lead a sedentary life are prone to develop different diseases such as obesity, hypertension, etc. that may contribute for metabolic syndrome. People with metabolic syndrome experience few symptoms. There are different signs associated with metabolic syndrome. Symptoms are subjective and signs are objective. Some of the signs of metabolic syndrome include high blood sugar level, high triglycerides level in the blood, high blood pressure, and obesity. Heart diseases such as atherosclerosis, congestive heart diseases are associated with metabolic syndrome. Fatty acids get deposited in the arterial walls of the heart. Deposition of fatty acids causes blockage and restricts circulation of blood through the body. Such blockage is harmful when arteries leading to major organs such as heart, kidneys, lungs get affected. Blockage of heart arteries may cause a heart attack. Blood supply to the heart and brain becomes limited and leads to heart attack and stroke. Type 2 diabetes: Diabetes results due to poor production of insulin or when body cells are not able to use insulin for glucose metabolism. The level of sugar in the blood increases and it may lead to kidney disease or heart problems. If you are leading a sedentary life, you have to start some simple exercise to add into your daily routine. Sedentary life gives rise to many complications such as poor absorption of glucose in the body cells, increased weight, and poor metabolism. You can start simple yoga exercise or morning walk to activate your body and for reducing the risk of obesity. Even slight weight loss can positively help you in reducing blood pressure as well as insulin resistance. Dr. Matthew Stanbrook, CMAJ deputy editor notes that it's likely the lifestyle interventions -- the exercise and nutrition counselling helps to lose weight and have a positive effect on reducing metabolic syndrome. Diet is another important factor, which in under your control. You can cut down excessive fats from your diet and plan a balanced diet to avoid the risk of metabolic syndrome. Reducing high salt intake is also good for reducing blood pressure naturally. Increase the intake of water to neutralize the salt intake and elimination of toxic chemicals from your body system. According to the Dietary Guidelines 2005, published by the US Department of Health and Human Services (HHS) and the US Department of Agriculture (USDA), a person who takes 2,000 calorie per day diet should eat four and one-half cups daily of fruits and vegetables. Add varieties of fruits and vegetables in your diet as they provide essential nutrients to your body. If you are a chain smoker, it is important to cut down smoking if you want to avoid the risk of metabolic syndrome. Also cut down alcohol drinking if you want to avoid health ailments that may contribute for metabolic syndrome. Natural therapies have helped many people in lowering down the risk of metabolic syndrome. A study of 207 people aged 25 to 65, which is published in the Canadian Medical Association Journal has revealed that prevalence of metabolic syndrome is decreased up to 17 percent when patients receive natural therapies as compare to standard medications. Docosahexaenoic acid (DHA) is an essential fatty acid required by human body for proper brain functioning in adults and development of the nervous system in infants. It is an omega-3 fatty acid as it consists of double-bond 3 carbon atoms away from the methyl end of the long chain of carboxylic acid that is considered good for optimum heart functioning. There are three types of omega-3-fatty acids: Alpha-linolenic acid (ALA), eicosapantaenoic acid (EPA), and docosahexaenoic acid (DHA). Human body has enzymes that help to convert ALA to EPA and DHA, the two essential fatty acids efficiently used by our body. Small amount of DHA is produced by our body naturally from alpha-lenolenic acid, but we need extra DHA from our diet. Fatty acids are found in every cell of human body, but essential fatty acids are mainly concentrated in the brain cells and immune system cells. The connection between the omega-3 fatty acids and health was established by the scientists when they were studying the Inuit people of Greenland. They did not suffer from heart disease, rheumatoid arthritis and other disorders as other populations. Their diet was rich in fat because they mostly depend on whale, seal and salmon. Researchers found that these foods were rich in omega-3-fatty acids that help them in preventing these diseases. Recently, research studies have supported the fact that DHA can help stabilize the mood. New studies have shown that intake of omega-3- fatty acids such as DHA can help to improve symptoms of depression. Omega-3-fatty acids found in fish oil help to lower triglycerides in the blood, decrease the risk of blood clots, help in healthy functioning of arteries of the heart and reduce the deposition of plaque [CLINICAL CARDIOLOGY; Marik,PE; 32(7)365-372 (2009)]. The American Heart Association recommends eating fish, particularly fatty fish found in cold water, at least two times a week. [CARDIOVASCULAR RESEARCH; Den Ruijter, HM; 73(2):316-325 (2007)]. As DHA is believed to an essential fatty acid for the growth of brain, researchers have found that eating fish might help in reduction of ADHD signs and symptoms in children and adults. [COMPARATIVE BIOCHEMISTRY AND PHYSIOLOGY; Crawford, A; 54(3):395-401 (1976)]. DHA is found to be an essential fatty acid that helps in the growth and development of the central nervous system and visual acuity in infants. A 2003 study published in the journal Pediatrics showed that mothers who took a DHA supplement during pregnancy have given birth to children who scored higher on intelligence tests at four years of age than children of mothers not taking DHA supplements. [AMERICAN JOURNAL OF CLINICAL NUTRITION; McCann, JC; 82(2):281-295 (2005)]. A 2004 study published in Child Development found that babies whose mothers had high levels of DHA at the time of delivery had better attention spans into their second year of life. Research has found that women with post partum depression have low levels of DHA in their milk and blood. (Journal of Affective Disorders, 2002). Some scientists believe that intake of DHA during pregnancy may reduce the risk of postpartum depression. DHA is also used as a supplement for premature babies in baby formulas during early months of life to promote optimum brain development. This was done because DHA is naturally found in mother’s milk. The best source of DHA is believed to be fatty fish found in cold water such as salmon, tuna sardines, shellfish, and herring. Flaxseeds and flaxseed oil are also important sources of omega-3-fatty acids. It is recommended to take 1000-2500 mg of DHA per day. Fish oil supplements contain both DHA and EPA. EPA is not recommended for children because it may create an imbalance between DHA and EPA. Ingestion of fish oil supplements may produce minor side effects such as stomach upset, flatulence and loose stools. DHA increases the effect of blood pressure medications and may lower blood pressure. DHA may also interfere with diabetic medications because DHA is known to lower the blood sugar level by enhancing the effect of diabetic medications. It may also interact with anti-coagulants and blood thinners such as aspirin. When such drugs are combined with DHA, it may increase the risk of bleeding. In a forthcoming paper entitled “Existential Risk Prevention as the Most Important Task for Humanity,” a team of mathematicians, philosophers and scientists at Oxford University’s Future of Humanity Institute say there is ever-increasing evidence that the human race’s reliance on technology could, in fact, lead to its demise. The group argue that we face a real risk to our own existence which is not a slow demise in some distant - theoretical future, but within the next century. “threats we have no track record of surviving." Seán O'Heigeartaigh, a geneticist at the institute, draws an analogy with algorithms used in automated stock market trading. These mathematical strings can have direct and destructive consequences for real economies and real people. "We are developing things that could go wrong in a profound way," He told the BBC in a recent interview. Dr Bostrom says there is a real gap between the speed of technological advance and our understanding of its implications. The team apostles the need for international policymakers to pay serious attention to the reality of species-obliterating risks. 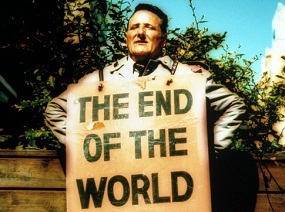 According to Dr. Bostrom, the stakes couldn't be higher and if we get it wrong, this could be humanity's final century. A human female breast is made up of fat, connective tissues and many lobules that produce milk. Cell is the structural and functional unit of life and every part of human body is made up of cells. Breast is also made up of tiny cells which multiply to replace the old cells and form new cells. Breast cancer is produced due to rapid multiplication of cells which is out of control. There are different types of breast cancer depending upon the part of the breast from which it arises. For example, if cancer starts from the ducts that supply milk is called as ductal carcinoma which is the most common type. If cancer initiate from the cells of lobules, it is called as lobular carcinoma and not present commonly. Breast cancer may be invasive or non-invasive. Invasive breast cancer is one which begins from the inside of lobules or ducts and spread nearby parts. In invasive carcinoma the cancer cells may reach to other parts through lymph nodes. Cancer cells are transmitted to other parts through blood or lymphatic system. A research was conducted by the Canadian researchers and it was published in the November 2012 issue of Environmental Health where they stated that certain jobs such as manufacturing of automotive plastics, food canning, are also related with the increased risk of cancer. Such jobs are responsible because human body comes in direct contact with the harmful carcinogens. Women who eat fast food and do not eat green vegetables and fruits are more prone to breast cancer. It is presented by Eric Schlosser in Fast Food Nation and Carol Simontacchi in Crazy Makers where is stated that fast foods are made up of cheap nutrients and consists of chemicals, harmful fats and artificial ingredients. Researchers from the National Cancer Institute believed that half of cancer is caused due to improper diet. Many studies have been conducted over the years which pointed to the fact that when cattle are fed with artificial growth hormones it lead to increasing rate of breast cancer. (Epstein. International Journal of Health Services. 1996) (Bohlooly-Y, et al. Diabetes. January 2005). In 1994, Monsanto started selling a hormone injection named as "recombinant bovine growth hormone" or rBST. This hormone was produced to increase the production of milk from cows. It is banned in some countries such as Japan, Australia, New Zealand, Canada and EU. rBST leads to a rise in a growth hormone known as IGF-1 or insulin growth factor in human who consumed animals fed with growth hormones. IGF-1 is closely related to insulin and is an important risk factor for breast cancer. (Epstein. Internal Journal of Health Services. 1996). Researchers from the Women's College Hospital, Women's College Research Institute, Toronto, reported in the journal Diabetologia that post menopausal women who lived longer with breast cancer are susceptible to develop diabetes as compare to other women who did not have breast cancer. Past research by the lead researcher Dr. Lorraine Lipcombe, had already shown that women with diabetes have higher risk of postmenopausal breast cancer. This study explores the link between diabetes and breast cancer demonstrates that the trend goes both ways. Thus, diabetes poses a great risk of developing breast cancer due to increased intake of insulin secreting drugs. Research has been done at the American Cancer Society and it has been found by the researchers that women who smoke are at greater risk of having breast cancer. A study was published online February 28, 2013 in the Journal of the National Cancer Institute, in which researchers collected data from 73,388 women in the American Cancer Society’s Cancer Prevention Study II (CPS-II) Nutrition Cohort. A cohort study includes large number of people over time. A follow up was done for more than 13 years, and researchers counted 3,721 cases of invasive breast cancer. Incidence of breast cancer was 24% higher in smokers than in nonsmokers. Researchers found that the risk of breast cancer is high in women who started smoking early in the age. Women who started smoking at an early age are 61% at higher risk as compare to women who never smoked. It is said by Mia Gaudet, PhD, American Cancer Society director of genetic epidemiology that breast tissue is not properly developed in woman till she has her first child and therefore younger women at higher risk of developing breast cancer due to harmful effects of smoking. It is difficult for doctors to find out early stage breast cancer. Doctors cannot predict which women are at higher risk. They have studied different aspects to effectively pick out the affected women from the large group. Many researchers believe that cells from the breast cancer break down and start circulating in the blood. These cancer cells can be detected by sensitive lab tests. Many new imaging techniques have emerged with the advent of technology. New technology has given us different ways for cancer diagnosis. If cancer is detected at an early stage, there are chances of complete recovery. Natural therapies are important because these include all the natural ingredients that are useful for our body. We should not forget that any woman may get affected if any of the above risk factor or cause is present. Thousands of studies are being done to find the cause and early detection of the cancer so that they may save lives. The best thing for women is to study and find out complete information about different causes and their preventive measures for breast cancer. Breast cancer is divided into different stages depending upon the size of the breast tumour and its spread to other parts of the body. These stages are described using the roman numerals 0, I, II, III and IV and letters A, B, and C.
First stage cancer is early stage cancer and four stage cancer is advanced stage where cancer cells have spread to other parts of the body. Stage 0 is benign and does not spread to other parts of the body. It is confined to the internal lining of the breast duct. The cancer cells have not spread outside to the neighbouring tissues. The size of the breast tumors is less than 2 cm and it is no more than ¾ inch across. It has not spread yet. The size of the tumour is not more than 2 cms across but it has spread to the lymph nodes. The size of the tumor is not more than 2 centimeters across, but cancer cells are found underarm lymph nodes. The size of the tumour may be between 2 and 5 centimeters or 3/4 of an inch and 2 inches across, but the cancer is not found underarm lymph nodes. The size of the tumor is between 2 and 5 centimeters across, and the cancer cells are found underarm lymph nodes. The size of the tumour may be more than 5 centimeters across, and the cancer cells are not found underarm lymph nodes. The size of the breast tumor is not more than 5 centimeters across, and the cancer cells are found underarm lymph nodes that are present near the adjacent tissues. The cancer cells may also spread to lymph nodes behind the breastbone during this stage. The size of the tumour may be more than 5 centimeters across. The cancer cells are found underarm lymph nodes attached to the adjacent tissue. The cancer cells may be found in lymph nodes behind the breastbone and are not found underarm lymph nodes. The size of the breast tumor may be of any size, and it has spread to the chest wall or the skin of the breast. There is swelling of the breast and lumps are found in the breast skin. The cancer cells may also be found underarm lymph nodes and these lymph nodes are found attached with the adjacent tissue. The cancer cells may also be found behind the breast bone. The size of the breast tumor may be of any size, and cancer cells may be found in lymph nodes behind the breastbone and under the arm. The cancer cells may also be found in the lymph nodes above or below the collarbone. The size of the tumor can be any size, and cancer cells are found in other parts of the body, such as the lungs, liver, bones, or brain.